Alcohol withdrawal is often treated with the use of certain medications, reducing the symptoms and helping the patient recover successfully. Librium mixed with alcohol can cause numerous side effects. Following the cessation of alcohol, however, a Librium alcohol detox can assist in alleviating specific symptoms that the patient experiences and could also aid in reducing the person’s cravings. Understanding the correct Librium dosage for alcohol withdrawal and how exactly the drug helps is vital for individuals considering the use of this medication while they are being treated for alcoholism. What is the Librium mechanism of action? How is Librium used for alcohol withdrawal? What are Librium side effects in the absence of alcohol? What is Librium alcohol withdrawal protocol? What are the Librium regimens? Librium is a pharmaceutical drug that is also known as Chlordiazepoxide. The medicine is classified as a benzodiazepine and is primarily used in the treatment of conditions like anxiety disorders. Additionally, Librium for alcoholism has also become a popular option. When it comes to answering a question like how to treat alcoholism, this drug may be one of the recommended options, along with additional treatment protocols like counseling. Chlordiazepoxide was first patented in the year 1958 but was only officially approved two years later, in 1960. This drug marked the first within the class of benzodiazepines. The drug is only available with a prescription in the majority of countries. In addition to being used in the treatment of anxiety and addiction, the drug also seems to be effective in treating insomnia and may yield muscle relaxant properties as well. With the correct Librium dosing for alcohol withdrawal, a person suffering from alcoholism may experience relief of some symptoms that are troublesome to them. The use of Librium can help to reduce the heart palpitations, as well as tremors, that people usually experience when they withdraw from alcoholism. Anxiety, panic attacks, and disordered thinking are psychological symptoms that are often improved during this time. Many patients may find that the drug can assist in physiological symptoms caused by alcohol withdrawal as well. Examples of such symptoms may include vomiting, headaches, insomnia, seizures, changes in blood pressure, issues with coordination, tachycardia, and more. Patients need to understand what is Librium used for alcohol withdrawal, as well as how the drug will be used to assist in the disorder. The drug is primarily used as a medication to curb alcohol cravings. This is because the drug is known to cause side-effects that may be similar to what the patient would experience when they use alcohol but to a lesser extent. The use of benzodiazepines is highly effective in the treatment of alcoholism, including chlordiazepoxide. Librium doses for alcohol withdrawal will vary from one individual to the next, as the prescribing physician need to take factors into account such as the severity of the person’s addiction. The patient also needs to understand that there are other options available in the case where this drug does not provide effective results. Comparing these drugs, such as Ativan vs. Librium for alcohol withdrawal, can help the patient better know which medication would be the more appropriate option for them. Patients provided with a Librium or Valium dosing for alcohol withdrawal should note that benzodiazepines may cause specific side effects. These side effects are different from the adverse events associated with combining chlordiazepoxide and alcohol and are more particular to the drug itself. Patients who experience these symptoms are advised to notify the prescribing physician and agree on switching to another medication. Disulfiram uses include the treatment of alcohol. Thus, this or another type of drug may be prescribed to the patient instead of Librium. Such a protocol can be useful if the medicine causes too severe side-effects. Naltrexone for alcohol cravings is another effective solution that may help to reduce the experienced side effects, while still helping the patient overcome their alcoholism. Topiramate for alcoholism may also be appropriate for some patients. In some cases, Librium alcohol withdrawal dosage may also be adjusted to reduce the side-effects without necessarily prescribing the patient a different drug. In the majority of cases, Chlordiazepoxide alcohol withdrawal dosage will be higher at first. The specific dosage should be provided by a physician to initiate the alcohol detox. Librium taper for alcohol withdrawal will then be gradually initiated, where the dosage of the drug will be slowly decreased. The dose will be higher compared to when Librium is used for anxiety. The patient should not, however, be provided a daily dose of the medication that is higher than 300mg. Physicians usually prefer up to around 100mg. In exceptionally severe cases, however, some physicians may use up to 800mg of Librium per day – close medical supervision will be essential in such a situation. 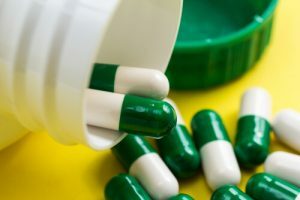 Patients who have liver-related problems or are at risk of developing liver failure should not use this drug, however. Furthermore, the medication is also not provided to female patients who are pregnant – even if they are struggling with alcoholism. Drinking alcohol while on Librium can cause various adverse effects and may be harmful to the individual’s health. For this reason, the prescribing physician needs to ensure the person understands these particular risks. While Librium and alcohol detox can be an effective combination, the patient is likely also to be provided with additional measures to assist with their withdrawal symptoms and to treat alcoholism. Even though many rehabs for alcoholics and healthcare professionals tend to utilize Chlordiazepoxide in the treatment of alcoholism, there has been some criticism regarding the effectiveness of the drug. Furthermore, many physicians are concerned about Librium side effects with alcohol – these can be harmful to a patient’s health. Even though it can be an effective strategy to ensure patients are educated about the effects of mixing alcohol and Librium, there is no guarantee that the patient will abide by the provided instructions. For this reason, alcohol withdrawal Librium may not be the preferred choice among all physicians who treat patients with alcoholism. Some physicians might rather prefer appropriate Campral dosing instead of Chlordiazepoxide, for example. Careful consideration should go into the prescribing process – the risks and benefits should be accounted for. The physician and patient can then work together to determine if the benefits of a Librium for alcohol withdrawal protocol would outweigh the risks or not. 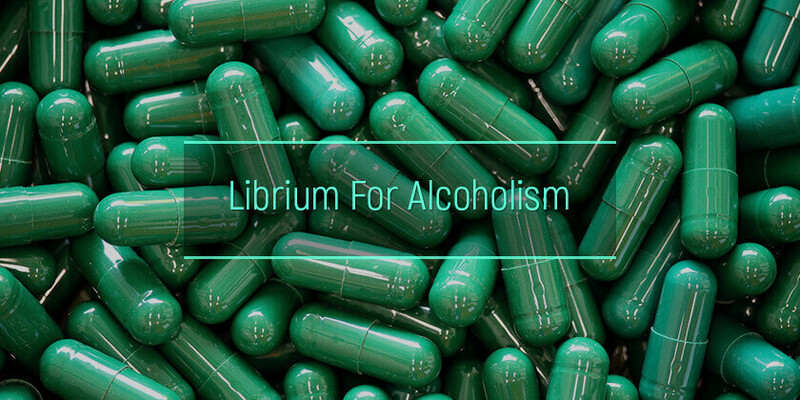 With the right Librium dosage, alcohol withdrawal symptoms experienced by a patient could be effectively alleviated, but the drug does come with certain risks that the patient should also be aware of. In addition to being provided education on the dangers of using Chlordiazepoxide for alcoholism, patients should even know what the Librium and alcohol interaction would be if they decide to drink alcoholic beverages while taking this drug.